Formulas that increase NO (nitric oxide) production have been manufactured and used for over a decade in the supplement market. MuscleTech has been a pioneer in the creation of products by manufacturing critical supplements that trigger the production of nitric oxide (or nitric acid as it is more widely known). The years have passed and the technology-expertise of supplements has rapidly evolved, especially after MuscleTech's collaboration with leading universities and research centers. The result of this collaboration was the creation of innovative and patent-protected supplements with unprecedented results for athletes and active people. 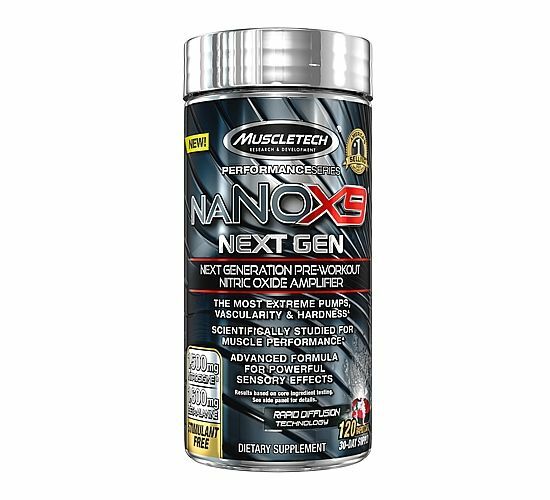 The brand new NANO X9 NEXT GEN is the latest generation of nitric oxide supplements with a unique combination of nutrients, used exclusively by MuscleTech. These unique components act rapidly, dilating blood vessels and supplying the muscles with incredible pumps from the very first set. NANO 9 contains the Nitrosigine system consisting of the powerful arginine and inositol silicate. 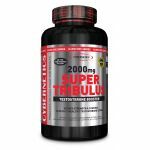 This stunning compound raises arginine levels dramatically and keeps them steadily elevated for more than 1 hour! Arginine's increased half-life in the blood increases the ability to produce nitric oxide, a fact that causes vasodilation that in turn boosts the supply of oxygen and valuable muscle growth factors. The rest ingredients that compose NANO X9 NEXT GEN formula are also unique. Hawthorn: A powerful stimulant of good blood circulation that destroys free radicals and protects the blood vessels from damage. Bioflavonoids contained loosen and dilate the arteries. Pomegranate: It provides better blood flow and helps maintain vascular elasticity. It has a strong vasodilating effect and improves the transportation of oxygen and macro-nutrients into the muscles. Brown Algae Extract: Rich in lycopene and contains similar polyphenols with those found in red wine and green tea. Eleutherococcus senticosus or Siberian Ginseng: A vasodilator that increases body's resistance to stress and offers an overall well-being. Rhodiola Extract: An extract of high quality and purity that increases strength and stamina levels not only on the muscles but also on the whole body. Beta Alanine: Reduces the production and accumulation of lactic acid, reduces acidic ph into muscle cells, increases the elimination of toxic byproducts allowing muscles to contract more vigorously and for longer times.